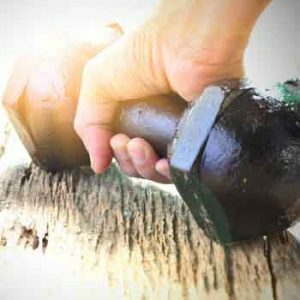 Natural Health News — Lifting weights could improve your brainpower – and reduce your risk of dementia, according to a recent trial. With 135 million people forecast to suffer from dementia in 2050, the study’s findings – published in the Journal of American Geriatrics – have implications for the type and intensity of exercise that is recommended for a growing ageing population. The study involved 100 adults with MCI, aged between 55 and 86 with Mild Cognitive Impairment (MCI) – a condition that describes people who have noticeably reduced cognitive abilities, such as reduced memory, but are still able to live independently. Notably MCI is a precursor to Alzheimer’s disease. » New research shows that when older adults engage in regular weight training, it can have benefits for the brain as well. » The researchers found that twice weekly session working out at a high intensity not only made volunteers physically fitter it helped reduce the risk of mild cognitive impairment progressing to dementia. Participants doing resistance exercise were ‘prescribed’ weight lifting sessions twice week for six months, working to at least 80% of their peak strength. As they got stronger, the amount of weight they lifted on each machine was increased to maintain the intensity at this peak strength level. Findings from the University of Sydney trial found, for the first time, a positive link between muscle strength gains from progressive resistance training and the functioning of the brain among those over 55 with MCI. “The stronger people became, the greater the benefit for their brain,” said lead author Dr Yorgi Mavros, from the Faculty of Health Sciences, at University of Sydney. A previous analysis of these participants found that their brain power improved significantly after the resistance training. The cognitive training and placebo activities did not have this benefit. The benefits persisted even 12 months after the supervised exercise sessions ended. These new findings reinforce research in which MRI scans showed an increase in the size of specific areas of the brain among those who took part in the weight training program. These brain changes were linked to the cognitive improvements after weight lifting. There is also previous evidence to show that aerobic exercise can help healthy adults maintain brain power and memory.